Advanced SystemCare Ultimate 12 is a powerful and full-scale PC security and performance utility. It provides you with a one-stop solution to protect your system against viruses, ransomware, and other malware as well as clean, optimize, and speed up your PC. 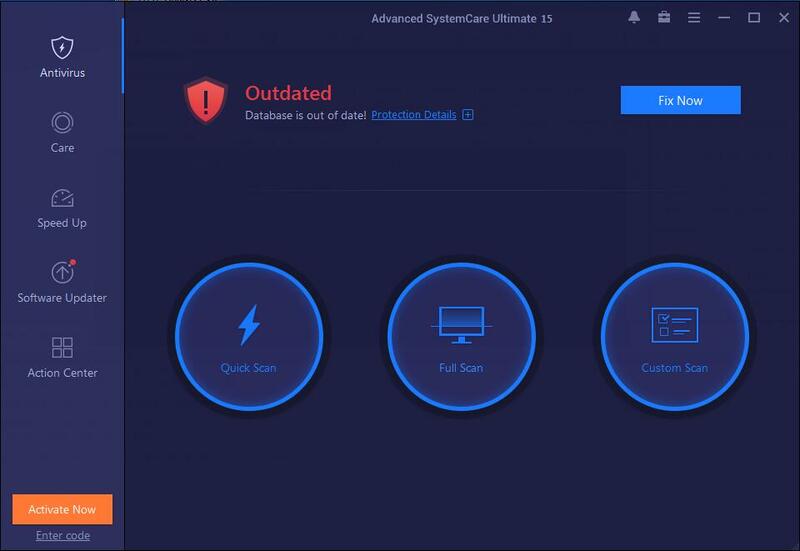 With the greatly improved IObit Anti-Ransomware Engine and the latest world-leading Bitdefender antivirus engine, Advanced SystemCare Ultimate 12 brings your PC security to a higher level. The two engines not only prevent your files from being encrypted by hackers or illegally accessed by third-party programs but also protect your PC against various viruses and malware in real-time. In this new version, Advanced SystemCare Ultimate 12 can detect all secret accesses to your sensitive data and automatically block the accesses from untrusted programs with the brand new Sensitive Data Protection and Untrusted Program Blocker in the Privacy Shield module. What's new: + Brand new Privacy Shield protects your sensitive data against blackmail software, phishing sites, and junk messages. + Brand new Digital Fingerprint Protection protects you from invasive online tracking. + Larger database to overall protect your PC against the latest virus, ransomware, and any other malware. + Newly built Junk File Clean to clean more files including Windows 10 icon cache, Microsoft Office cache, Google Chrome logs and temporary files, software redundant files, and uncompleted download files. + Newly enhanced Privacy Sweep to support cleaning the latest Chrome, Opera, Firefox, even Chromium-based browsers, and Facebook. + Latest revised Homepage Advisor strengthens the detection of malicious modification on homepage and search engine. + Rebuilt Surfing Protection & Ads Removal to newly support Microsoft Edge and block more cryptocurrency mining attacks, annoying ads, and malicious sites. + Rebuilt Startup Manager to further shorten your PC's boot time and support removing Microsoft Edge extensions. + Brand new Privacy Shield protects your sensitive data against blackmail software, phishing sites, and junk messages. + Brand new Digital Fingerprint Protection protects you from invasive online tracking. + Larger database to overall protect your PC against the latest virus, ransomware.